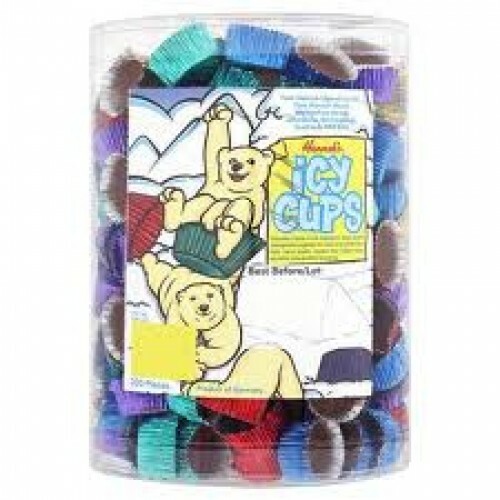 Individual cups of icy-cool, chocolatey candy each one separately encased in brightly-coloured foil. The Icy Cup is one retro sweet favourite which is guaranteed to melt the moment it touches your tongue !!! 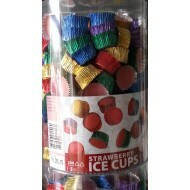 ice cups strawberry 200 Pieces tub Strawberry ice cups from Dexters, pink s..